While the GUI may have an appeal of its own, it simply doesn’t have the pace of a lightning fast command line on Linux. In the command line, you can rattle off several commands in a matter of seconds. Likewise, your capabilities are only limited by the number of linux commands you know rather than the display on your screen. If you have a wide vocabulary then the sky’s the limit. If not, then you’re more restricted in what you can do. However, if you’re part of the latter group don’t fear, we’re here to assist you with the only Linux commands you’ll ever need. This guide has been designed specifically for network administrators to take you from passable command knowledge to outright fluency. 1 acpi Shows information about the Advanced Configuration and Power Interface. 2 alias Runs a command (or series of commands) with a shorter name than the full command name). 3 apropos Displays a list of all topics from the man pages related to your query. 4 apt-get Used to update a Debian machine automatically and install a package or program. 5 Arch Displays print machine hardware name. 6 Aspell GNU Aspell is an open source spell checker utility. 7 autoupdate Updates a configure.in file to a new autoconf. 8 AWK Find and replace text in a file. 9 bash GNU Bourne-Again Shell. 10 bg Sends processes to the background. 11 bzip2 An open source program that is used to compress or decompress files rapidly. 12 cat Used to read, modify, or concentrate text files. 13 cd Changes the current directory. 14 chmod Changes the permissions or access mode of a file(s). Only a privileged user or file owner can change the access mode. 15 chown Changes the ownership of a file or group of files. Can change ownership for objects within an entire directory tree. 16 cmp Compares two files. If the files are the same nothing happens but if they’re different then cmp reports to byte and line number. 17 comm Compares two files line by line. 18 cp Copies files and directories. 19 cpio Copies files in or out of a cpio or tar archive (a tar archive is a file with other files inside it). Tar archives also include information including; owner, file name, timestamps and access permissions. 20 CRON Daemon used to execute programs at a specific time. You need to create a text file that dictates what file will be executed and the time to be executed. CRON then loads the text file. 21 date Used to set the date and time of a system. 22 declare Used to declare variables and provide them with attributes. 23 dirs Shows a list of remembered directories. 24 df Shows how much disk usage there is on your system. 25 echo Used with shell scripts to enable a user to repeat a string variable to a standard output. 26 enable Used to start or stop printers and classes. 27 env Displays current environment variables. 28 eval Used to evaluate several arguments at once and concatenates them into one command. 29 exec Replaces parent process with the entered command. 30 exit Exits the terminal/terminates a script. 31 expect Talks to other programs and waits for a response. 32 export Converts one file into a different format. 33 fc-list Shows a list of available fonts. 34 find Searches the directory tree for groups that meet certain conditions. These conditions include, name, user, type, size, exec, and mtime. 35 for, while Used to execute or loop items indefinitely (so long as certain criteria is met). 36 free Shows you how much free space there is in your memory. You can also view used memory too. 37 fsck Used to check and repair a file system. 38 grep Searches files for a specific pattern or character string to replace with another. This command is generally used for searching for files. 39 grpck Used to verify the integrity of a group’s information. 40 gunzip Opens a utility used to compress and expand files. 41 gzip GNU open source program used for file compression. 42 groffer Display groff files and man pages. 43 hash Shows the command path locations. 44 head Shows first 10 lines of specified files. 45 history Shows the systems command history. 46 hostid Shows hosts ID in hexadecimal format. 47 hwclock View/configure the hardware clock. 48 ifconfig This command is used to configure resident kernel network interfaces. Most of the time it is used when booting up but it can also be used for debugging as well. 49 ifup Used to configure a network interface and enable a network connection. 50 ifdown Used to shut down a network interface and disable a network connection. 51 jobs Shows a list of active jobs. Also shows job status. 52 join Joins lines of two files on a common field. 53 kbdrate Resets the keyboard repeat rate/delay time. 54 kill Sends a kill signal to a one or more processes. 55 killall Sends a kill signal to all processes running the specified command. 56 less Displays contents of a file one page at a time. Locate is used to read a database(s) and outputs files that match certain patterns. Similarly slocate (secure locate) is used to index files, search for files, and store file permissions securely. 58 lft Identifies connection routes and provides additional information useful for debugging connections. 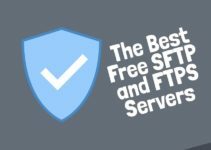 59 lftp An FTP utility. 60 In Creates a new name for a file via a hard link. In practice this allows multiple users to share a single file. 61 Is Lists files and directories within the current working directory. 62 man Displays the user manual pages on Linux commands. 63 mc A text-based file manager or visual shell for Unix systems. 65 mmv Moves and renames files en masse. 66 mtr Network diagnostic tool. 67 neat A GNOME GUI admin tool which allows users to dictate what information is needed to set up a network card. Configures a network and enables network products. 69 netstat Shows information about active protocols in TCP/IP network connections. A program used to send desktop notifications. 71 nslookup Enter a host name and find the accompanying IP address. You can also reverse this. 72 objcopy Copies and translates object files. 73 od Dumps binary files in octal, hex, or binary to standard output. 74 openvt Starts a program through a virtual terminal. 75 passwd Updates the user’s current password. 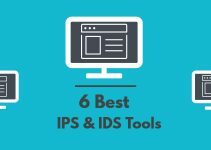 76 ping Enables the user to check that an IP address exists. Can also determine response times. 77 poweroff Shuts the machine down. 78 ps Reports status of all current processes within a system. 79 pwd Shows the name of the current working directory. 80 quota Shows disk usage for a user or group. 81 quotacheck Scans a file system for disk usage. 82 quotactl Change disk quotas. 83 read Takes lines of text from a standard input and assigns values to each file. 84 RPM RPM or Red Hat Package Manager is a command line program that allows you to install, manage, or uninstall software packages with Linux. 85 rsync Syncs data from one file (or disk) to another. Good choice for data backups. 86 screen A window manager which allows the user to run multiple terminal applications or windows through one terminal window. 87 sdiff Looks for differences between two files. Shows you lines that are dissimilar before merging them. 88 sed This is a stream editor that is used to filter text. Used to filter, extract and replace parts of files. 89 shutdown Shuts down the computer. If you combine with -h it will stop after shutdown or you can use -r to reboot automatically after shutdown. 90 Snort A network intrusion detection system and packet sniffer based in libpcap. Used to monitor network traffic. 91 sort Sorts text alphabetically or numerically. 92 sudo Gives the user permissions to run some or all commands. 93 SSH Command interface used for gaining access to remote computer securely. 94 tar You can create archives from a number of specified files. 95 tcpdump Network packet analysis tool. 96 telnet User interface for the Telnet protocol. 97 TOP Allows you to monitor system processes with distributed information processing. Sorts tasks by CPU usage, memory usage and runtime. 98 tr Translates or deletes characters from a text stream. Only accepts standard input. 99 traceroute Identifies and records a route over the internet between two computers. Good for troubleshooting and determining network issues. 100 uname Displays the name of the current operating information. Can also print information. 101 uniq Compares lines adjacent lines within a file and removes duplicate lines. 102 vi Vi is a well known text editor that allows users to control their system via the keyboard. 103 vmstat Gives the user a snapshot of everything with information on things like memory, processes, paging and CPU activity. 104 wc Counts the number of words, lines, and characters in text files. 105 Wget Network utility used to pull files from the web with support for http, https, and ftp. Works in the background while a user is logged off. 106 whoami Products the user/login name linked to the current user ID. 107 xargs Uses standard input to read, build, and execute arguments. Opens a file or UTL in the user’s preferred application. 109 yppasswd Changes NIS login password. 110 yppoll Shows the ID number/version of NIS map on the NIS server. 111 yptest Uses NIS functions to check if NIS configuration is correct. 112 zcat Compresses/uncompress files (similar to gzip). 113 zcmp Compares compressed files. 114 zdiff Compares compressed files line by line. 115 zip Compression and file packing utility. 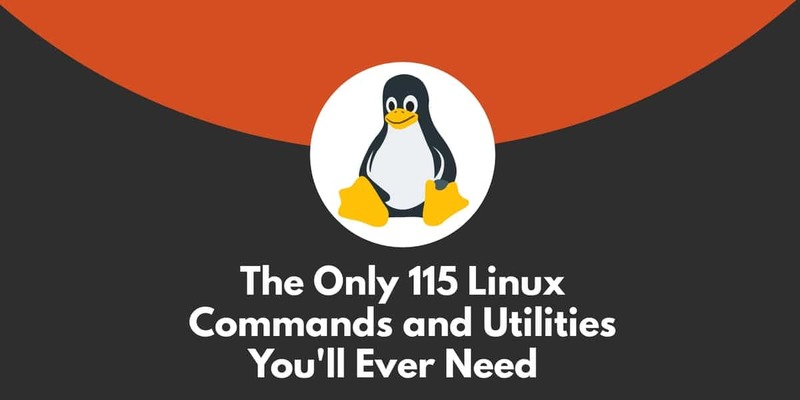 When it comes to Linux commands, there is no telling how many commands there actually are. The commands available on a Linux system depend on the operating system you’re on. That being said the list is extensive and the commands we’ve covered in this article are just the tip of the iceberg. However few commands will be as integral to your day-to-day usage as the commands outlined above. Depending on the command you searched for, this will bring up a list of relevant commands. The example above would display commands such as dir, ls, ntfsls, and vdir. Ultimately the more time you spend using these commands the better you’ll retain them and the more you’ll get out of your distribution.